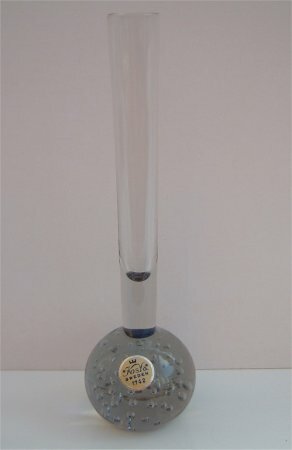 The colour of this vase is a pale silvery grey. It is approximately 155mm (6")tall. 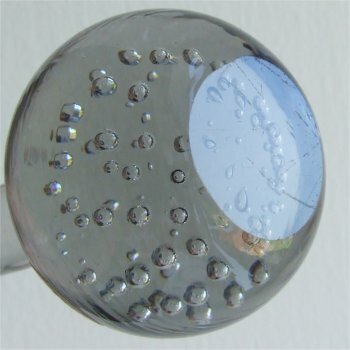 The base is round and has fairly large unevenly spaced bubbles. The bottom is ground and polished flat. The stem is the same colour as the base has a narrow flare being approximately 17mm (6/10th ") in diameter. 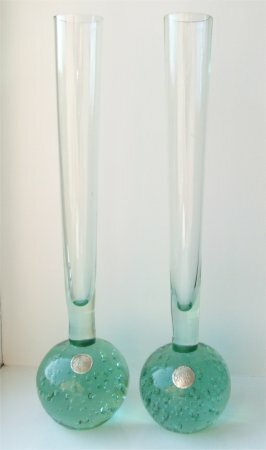 These green vases are approximately 242mm (9 & 1/2 inches)tall. The bases are round and one has medium and large unevenly spaced bubbles, the other has medium sizes bubbles which come up in a spiral. The bottoms are 'ground' and polished flat. 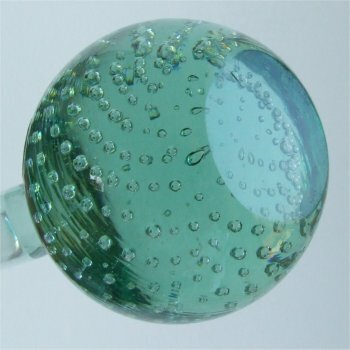 The stems are the same colour as the base and have a medium flare being approximately 28mm (1 & 1/8th ") in diameter. 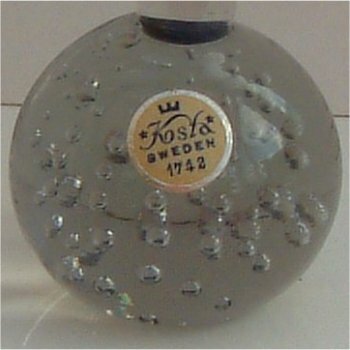 Kosta Glassworks was founded in 1742 in the province of Småland, Sweden a forrested area which provided the wood needed to fuel the furnaces day and night. 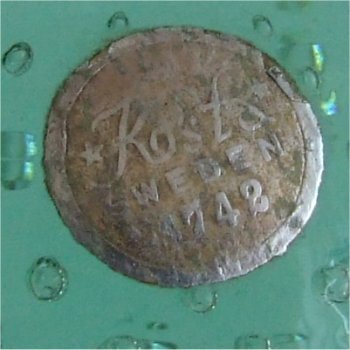 The name Kosta was made up of the names of the two founders who were Anders Koskull and Georg Bogislaus Staël von Holstein. It later merged with Boda to form Kosta Boda.